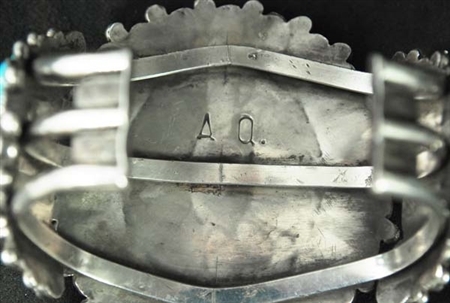 Alice Quam began jewelry making in the mid 1940's. In the 1960's she began using a hallmark. Her skills as both a stone cutter and silversmith are those of a master. 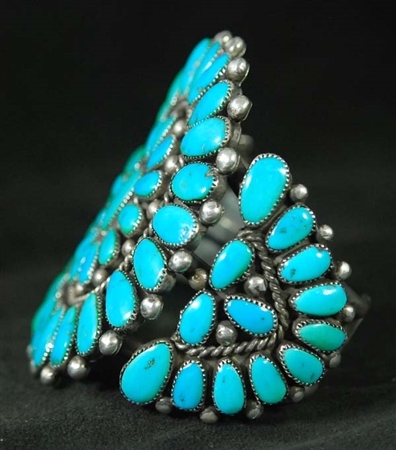 Her cluster Zuni jewelry quickly became collectable, as each piece was done with amazing precision. 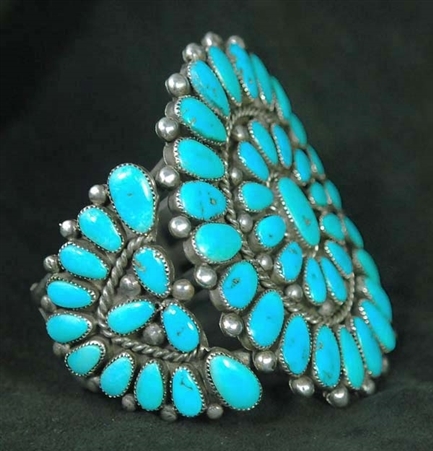 Her use of high quality materials, both in the turquoise and coral she chose for her pieces, were also a hallmark of her exquisite work. 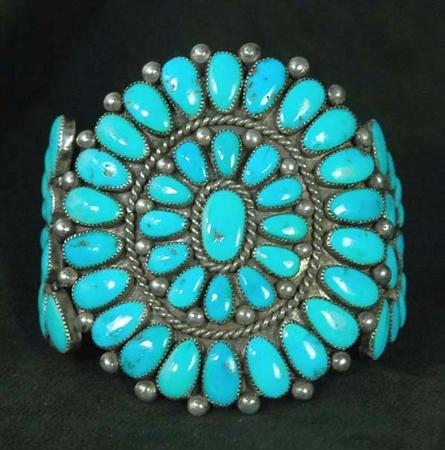 This beautiful cluster bracelet is set with 61 hand cut Natural Morenci turquoise cabochons. 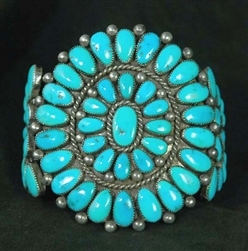 The vivid blues makes this a spectacular bracelet. A fine silver twist wire and perfectly placed silver raindrops add the final touches to this gorgeous piece. Hallmarked with her A. Q. dating it to the 1960's or later. The bracelet face measures 2 5/8" wide, with the interior measuring 5 1/16" with a 1 1/8" opening. Can be adjusted slightly.